To view the bottles in close-up just click the pictures! 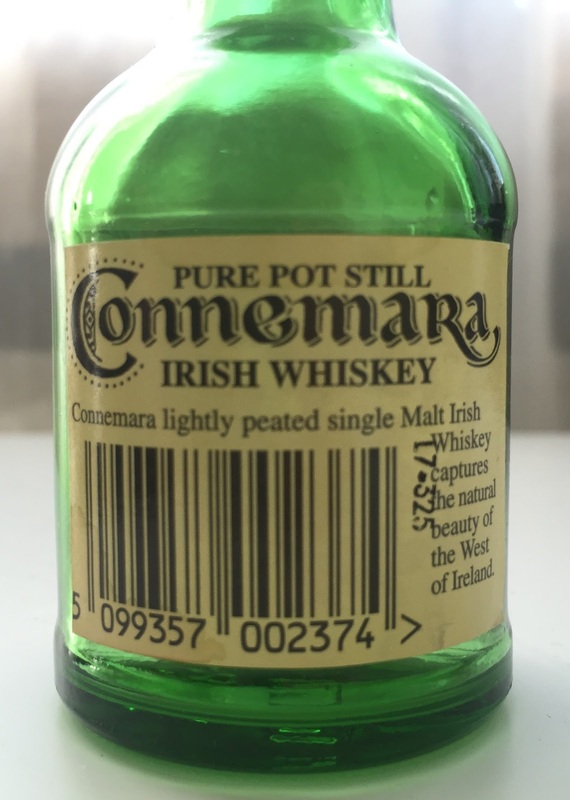 Is not an actual "Pure Pot Still" or "Single Pot Still" whiskey but as all Connemaras just traditional double distilled single malt. 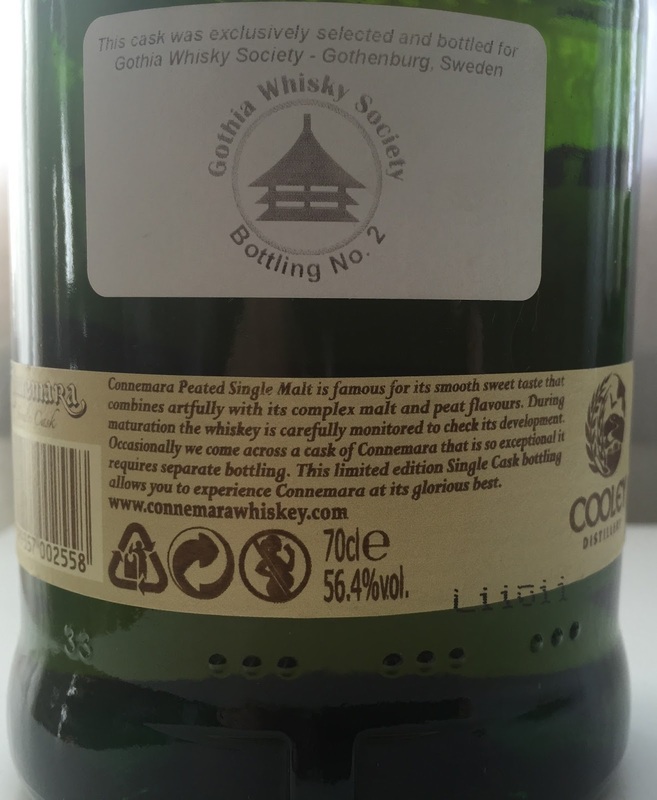 Almost all first bottlings and first editions from Cooley Distillery that was single malt was called pure pot still. 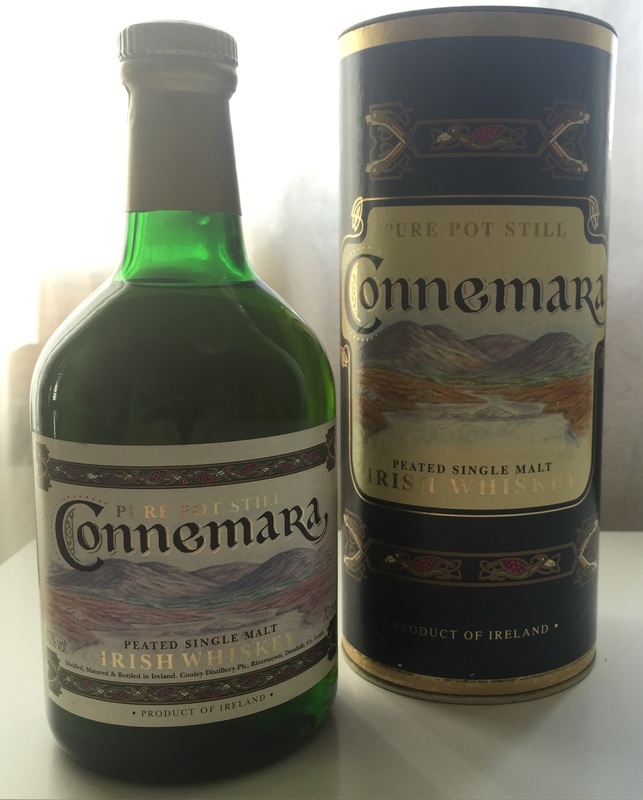 What I believe they meant by this was that the spirit was distilled only in pot stills and not in continous or column stills. 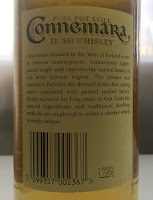 This is one of the first bottlings of Connemara to be released, distilled 1992 and released circa 1996. 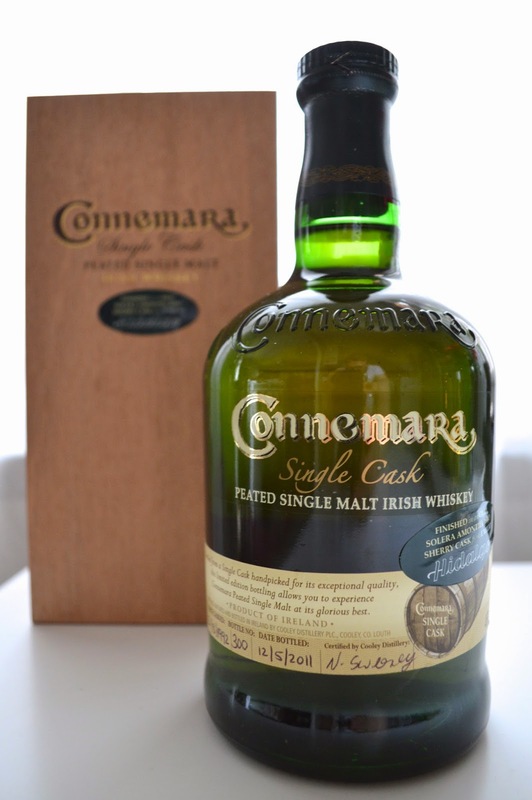 It has been matured in bourbon casks. 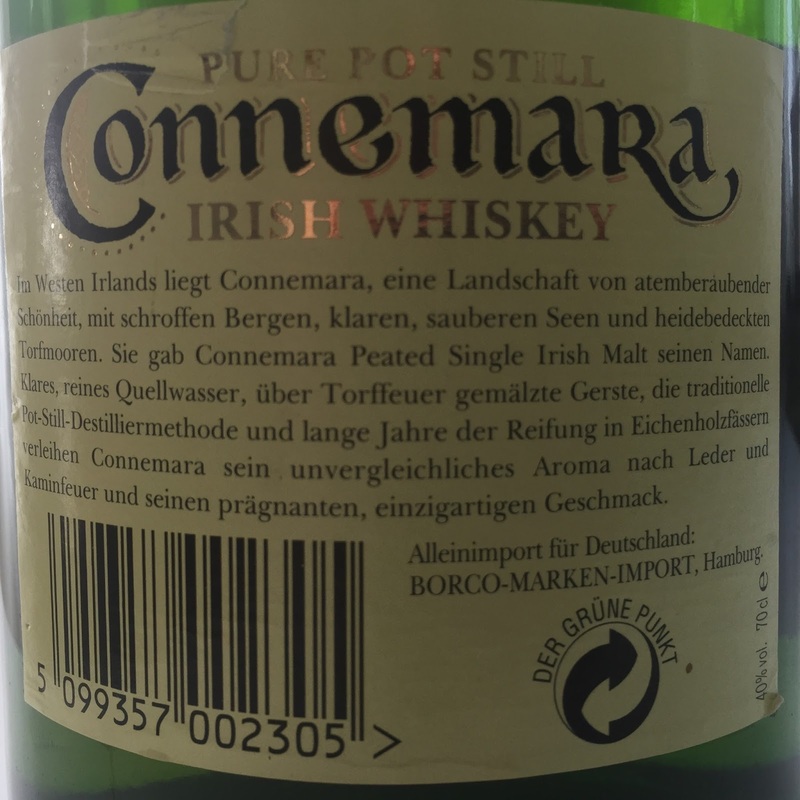 Back-label in German. No number on back-label. A big thanks to Adrian a.k.a Irish Whiskey Chaser for fixing the very hard to find tube to this one! 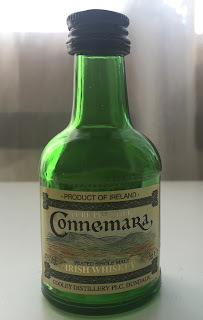 This is one of the first bottlings of Connemara to be released (around 1996). Today this tall bottle is quite unusual. 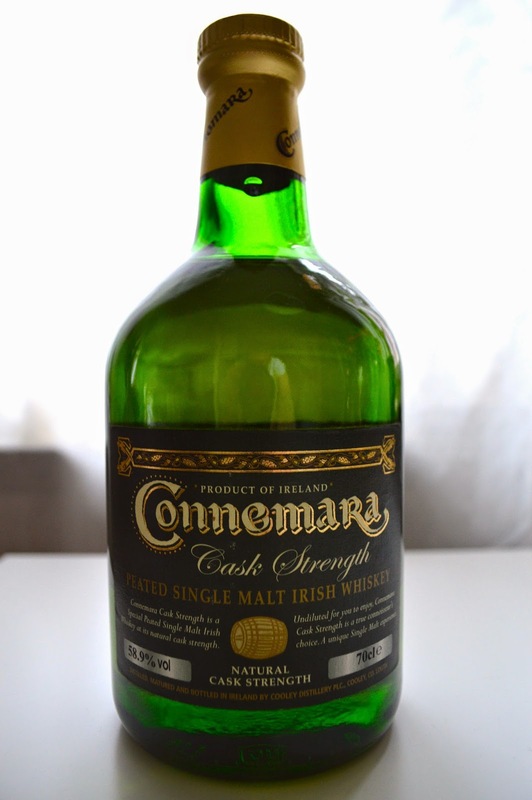 The cask strength of this particular bottling is 59,7% ABV. Matured in bourbon casks. No number on back-label and no laser number. This is an extremely rare version of the one above, in clear glass and 75cl! Probably released for the USA. Number on back label is L2208. 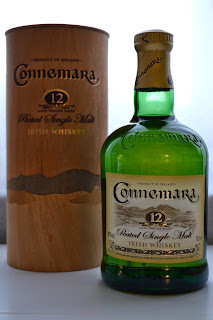 A huge thanks to Adrian a.k.a Irish Whiskey Chaser for parting with this bottle! 58,9% ABV. 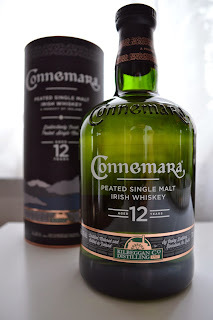 This is a bottle of the first 12 yo Connemara ever being released. 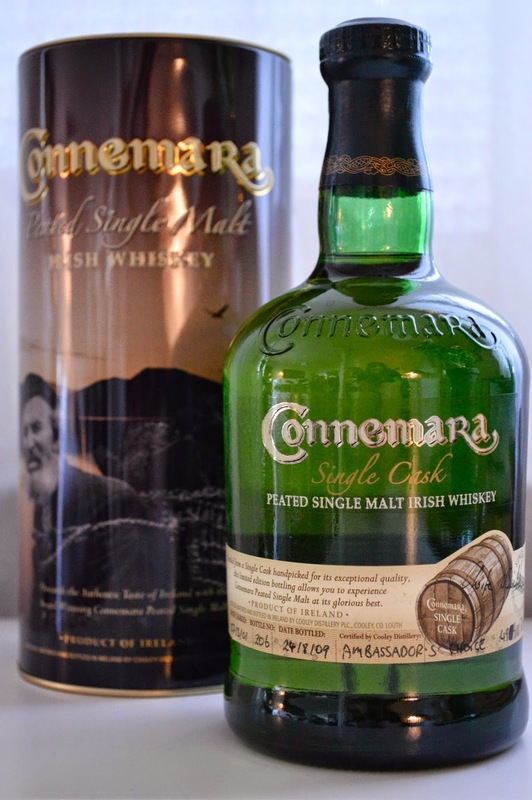 Due to it's age and the fact that the first Connemara was distilled in 1992, the first 12 yo can not have been released earlier than 2004. Number on back label is L3143. Big thanks to Adrian a.k.a Irish Whiskey Chaser for letting go of this bottle! 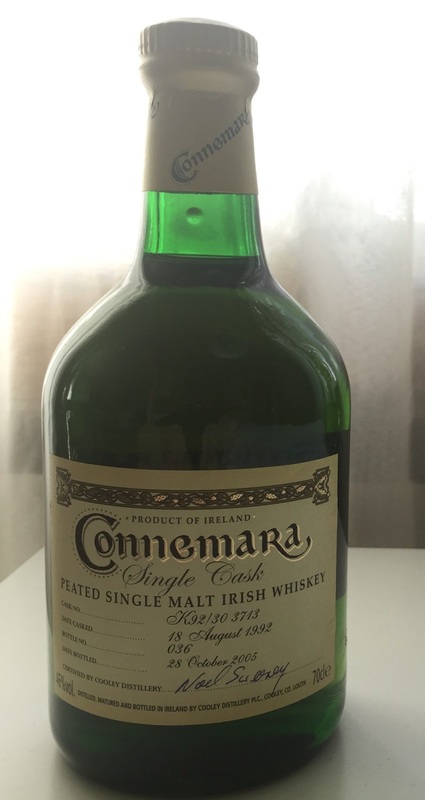 This is a really rare miniature Connemara. 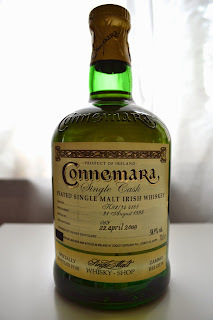 When it arrived some of the contents had unfortunately leaked, I tasted the remains but it was undrinkable due to oxidation… This is the only mini I have seen with a number on the back label, L7.325. Consisting of three Connemara miniatures. The NAS, 12yo and Cask strength and a Glencairn-glass. Released pre-2009. Just as above but the labels have the 2009 design! Pre 2009. Number on back-label is L8078. The 12yo dumpy bottle had no wooden tube but the 12 year olds with this design has! The Distillers Edition is back! Released in august 2014. The previous 2010 version was only for France, but this seems to be bottled for the world wide market! 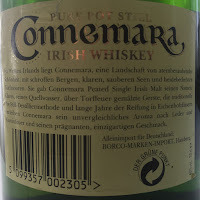 This version of Connemara DE is bottled at 43% ABV. 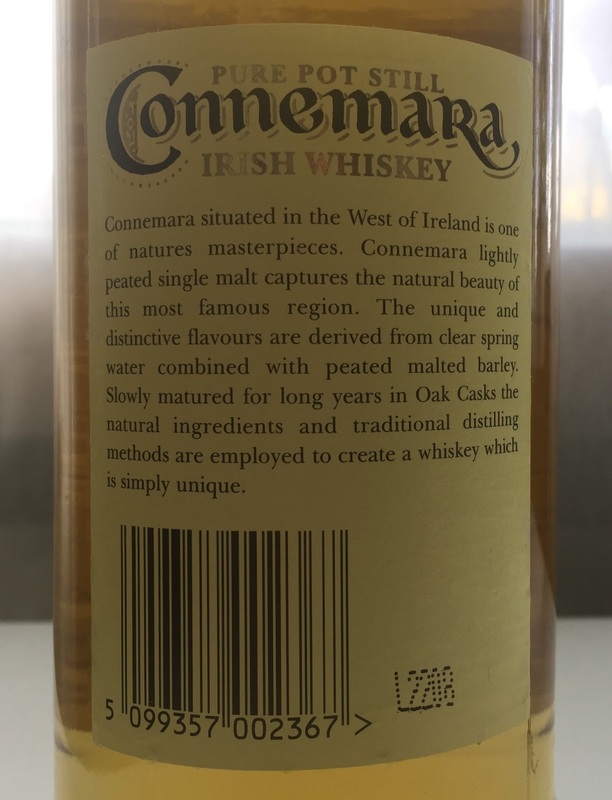 The back of the tube is a bit unclear but it could be interpreted as if this whiskey is fully matured in Oloroso sherry casks… Laser number on bottle is L14074 23/0714. Released in early september 2014. 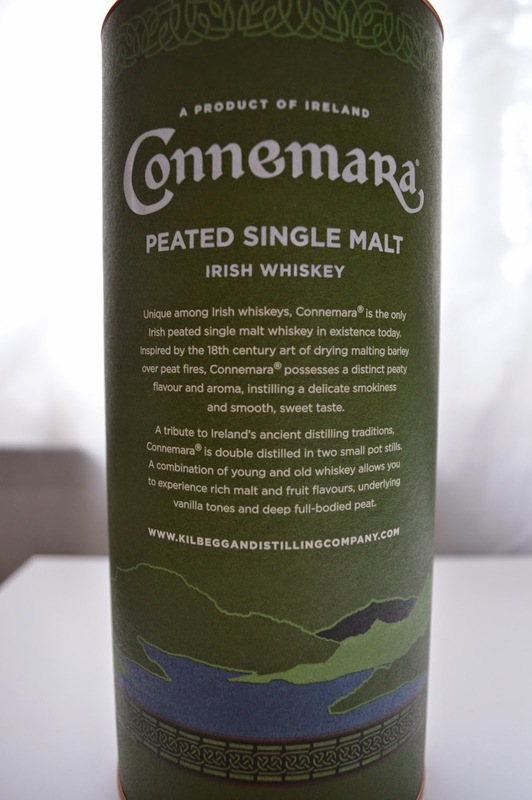 Please take a look at my tasting note here for more info! Laser number is L14084 25/08/14. 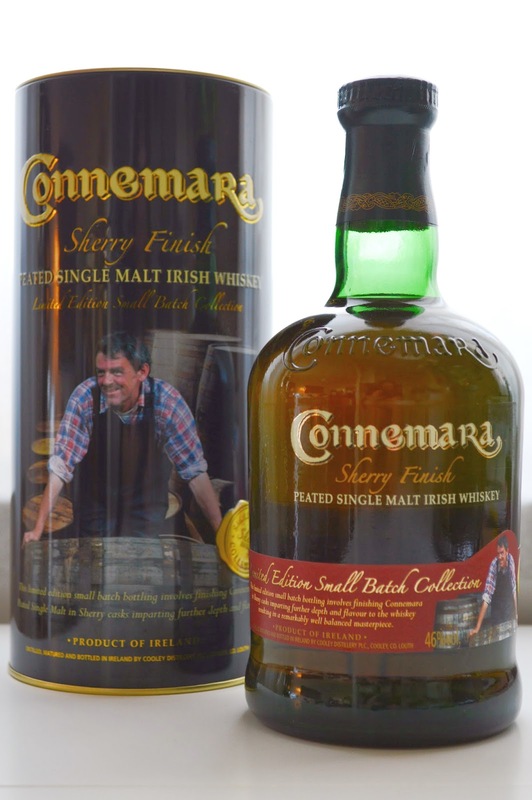 This Connemara has actually not been fully matured in a single sherry cask but rather consists of around two casks of 1st fill bourbon matured Connemara that has been transferred into and finished in an oloroso sherry cask for about 18 months. It's age in total is a little over 13 years old. 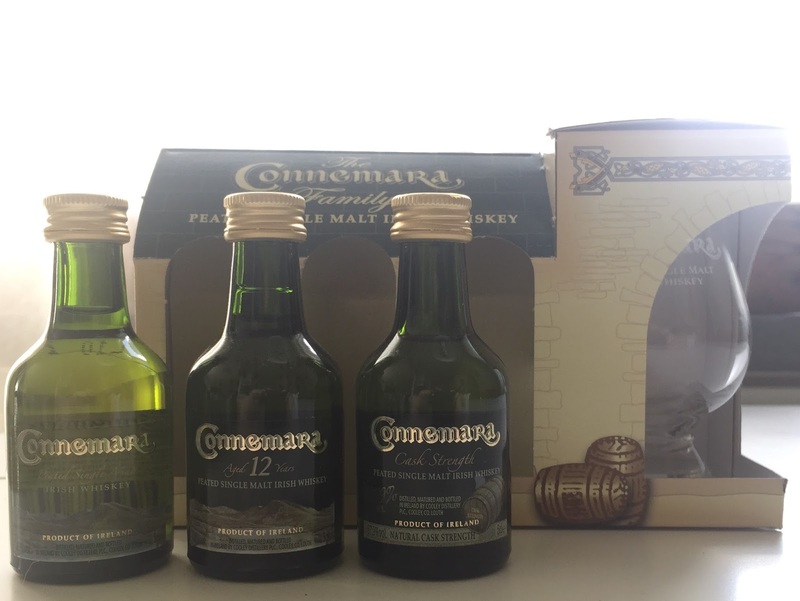 This is the first ever sherry finished Connemara (Small Batch Sherry finish being the 2nd, cask 112 being the 3rd, and cask 155 being the 4th). 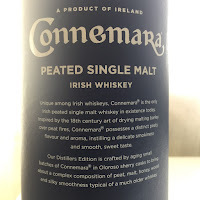 No fully sherry matured Connemara has yet been released. 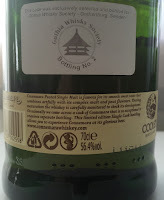 46% ABV Cask no. V07/0887, bottle no. 91. I also have bottle no. 95 in my collection. 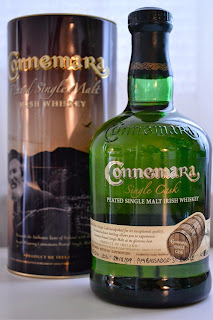 Distilled 950919 and bottled 081029. Number on back-label is L8176. This 8yo Connemara was a special bottling (once-off) limited to Sweden and there were only 9000 bottles produced. 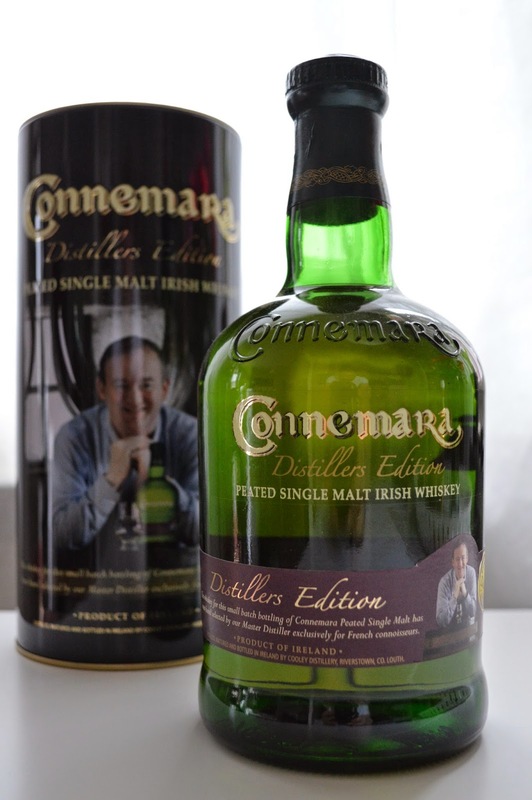 It was released the 1st of october 2009 and sold out on the 19th of October 2012 (I know this since I bought the last two bottles available). 46% ABV and matured in first fill bourbon casks. Laser number on this specific bottle is L9162. Two more bottles of the 8yo is in my collection. Their laser numbers are L9105 and L11071 25/03/11. 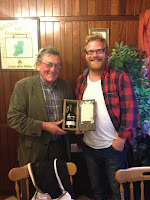 Please take a look at my tasting note here! 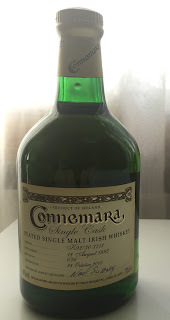 This Connemara was a special bottling limited to the french market. It was released in 2010. 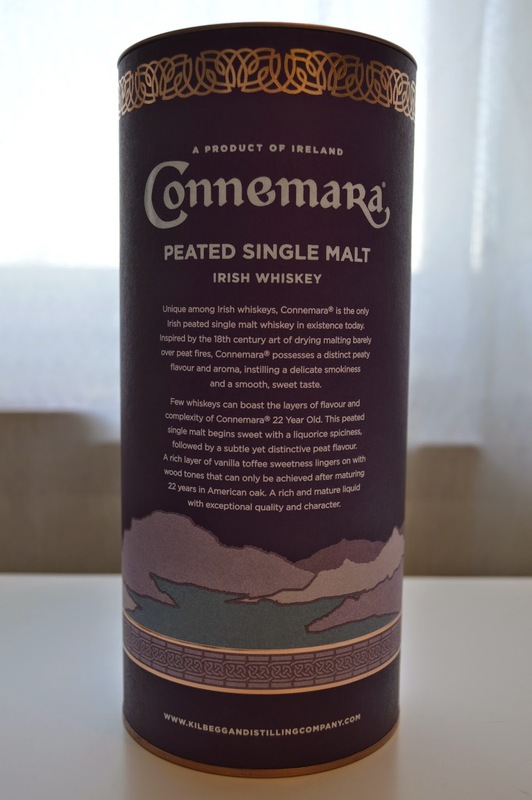 This is the first release in a series called Small Batch Edition (not to be mistaken for the Small Batch Collection which for the moment consists of Connemara Sherry Finish and Connemara Turf Mór). 43% ABV which is quite odd for being Connemara. 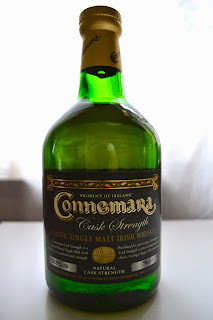 This bottling is said to be matured partly in sherry casks but to med it tastes very similar to the standard bourbon matured Connemara. Laser number is L12030 14/02/12. This is the first single cask Connemara ever to be released! As you can understand it is very rare indeed and I am very grateful of Adrian a.k.a The Irish Whiskey Chaser for parting with this bottle. It has been matured in a first fill bourbon cask. 46% ABV bottle no. 36. Distilled 920818 and bottled 051028. Number on back label is L5181. 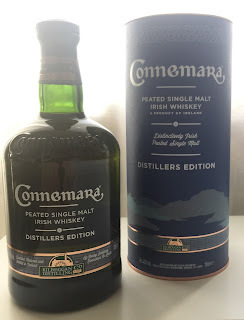 This single cask Connemara is the first 18 year old Connemara ever released! 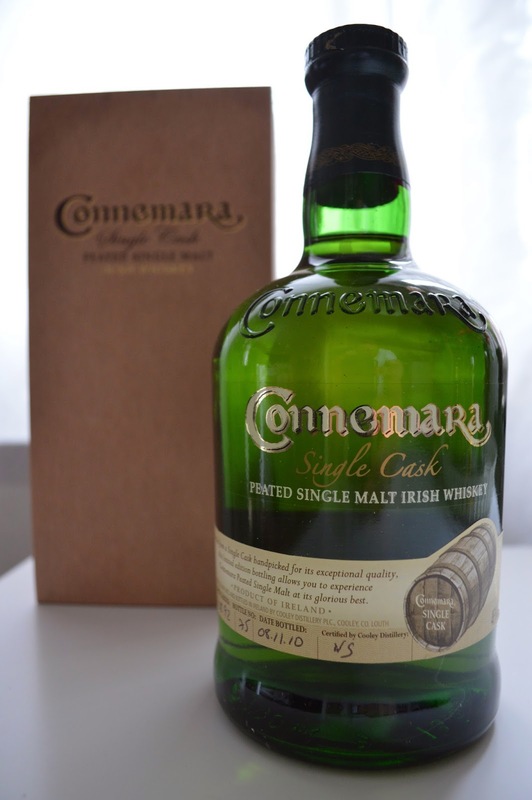 It was sold exclusively at the Celtic Whiskey Shop. 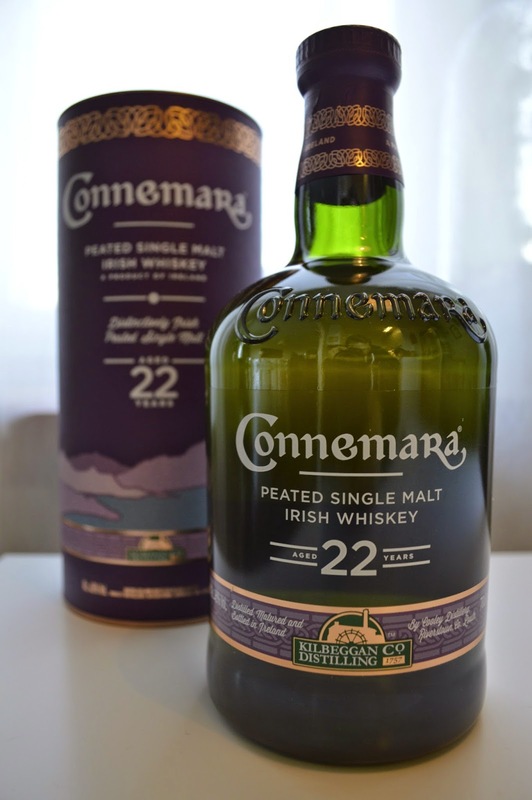 It was matured in a first fill bourbon cask. 46% ABV bottle no. 75. Distilled 920811 and bottled 101108. Laser number is L10201. 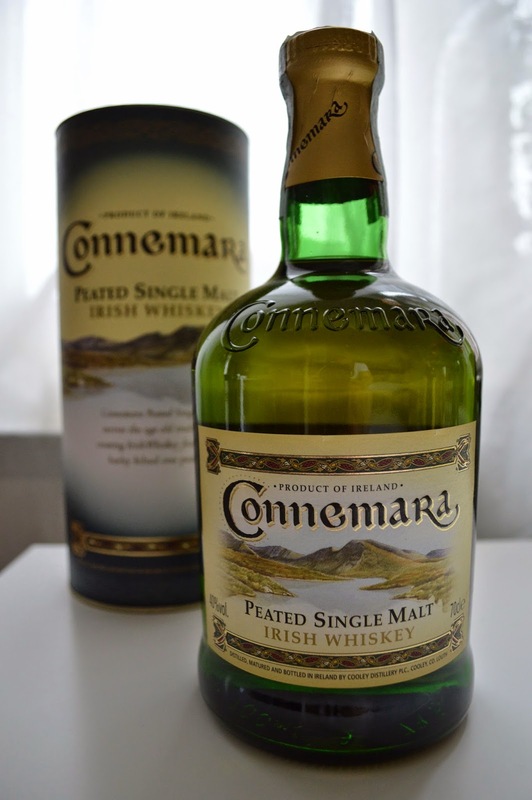 Big thanks to my good friend Ian for parting with this bottle! 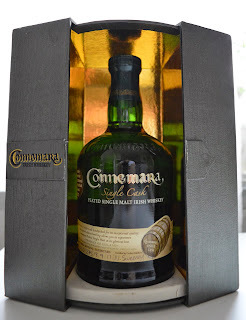 "This month [june 2011] sees the unveiling of the Connemara Cask 155 Emilio Hidalgo Amontillado Finish. There is a good story behind it. Bodegas Emilio Hidalgo told the shop that they don't buy or sell casks and, indeed, hadn't bought a new cask in 40 years. That's because they use the solera process for maturing sherry, which never actually empties a cask but draws off a portion and immediately refills it with slightly younger stock. You can imagine that the sherry over the decades has had time to thoroughly permeate the wood. Contrast this with the sherry casks typically used in an Irish distillery which have been "seasoned" with sherry for only two years. Those have typically been filled with Oloroso sherry. Amontillado is not dissimilar but it has a slightly less oxidised character. 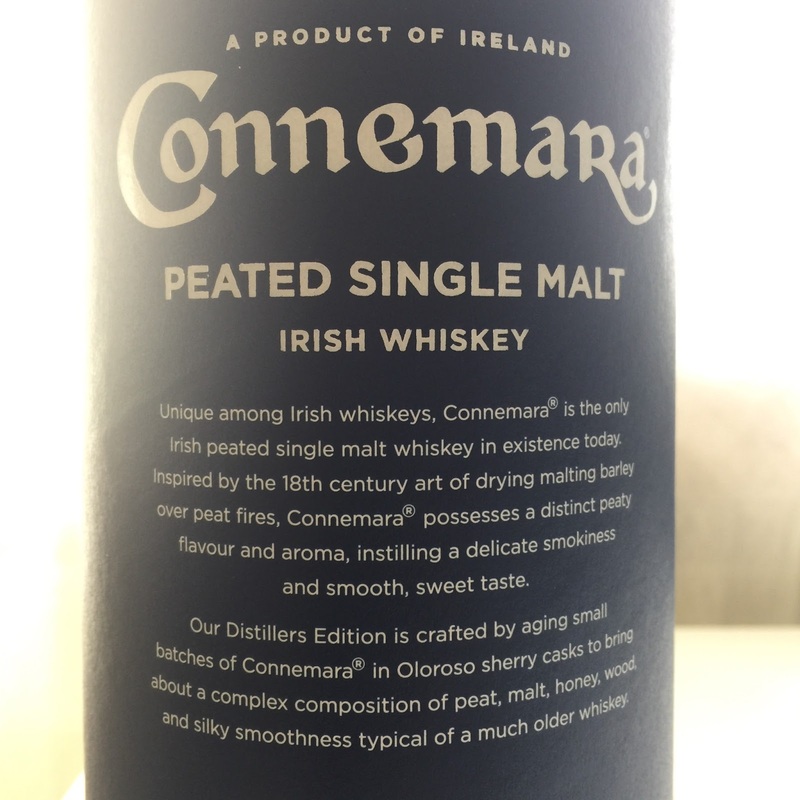 Anyway, they convinced the producer to part with a cask and it has spent the last 12 months maturing some of Cooley's peated malt"
It was distilled 920831 and bottled 110512. Number on back-label is L11114 09/06/11. This is one of the best SC Connemaras I've ever tried, and a really rare one! It was bottled by a Swedish whisky club in Gothenburg, called Gothia Whisky Society (GWS). This bottling is special because when it was released it was the second official 18yo SC Connemara ever to be released! 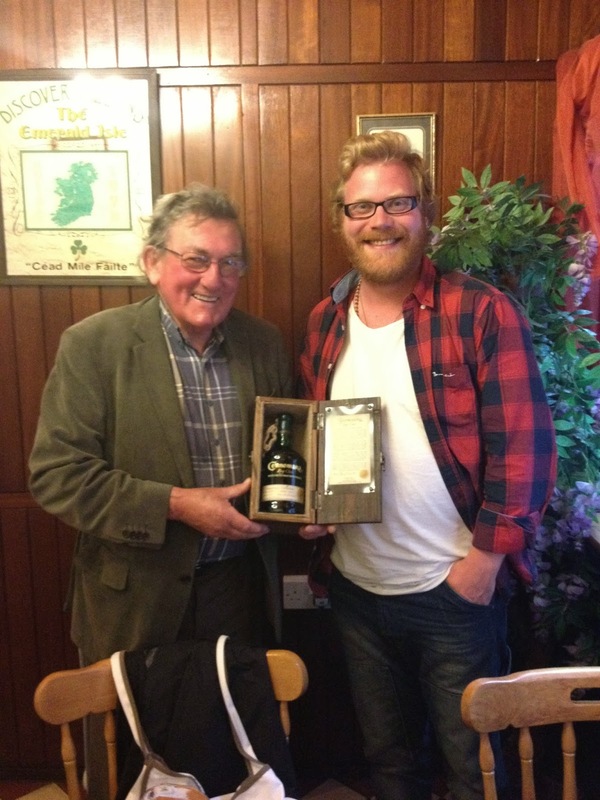 The story behind this bottling is that Stephen Teeling visited the GWS and during the tasting the members of the club were very generously offered to buy a cask. 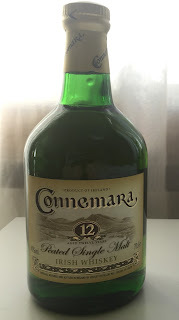 I have enjoyed one bottle of this one (bottle no. 39, which I bought from my very good friend Peter of the swedish independent bottler Svenska Eldvatten). A bit later I managed to source yet another bottle, no. 206. It holds 56,4% ABV. Distilled 920826 and bottled 110117, number on back label is L11011. 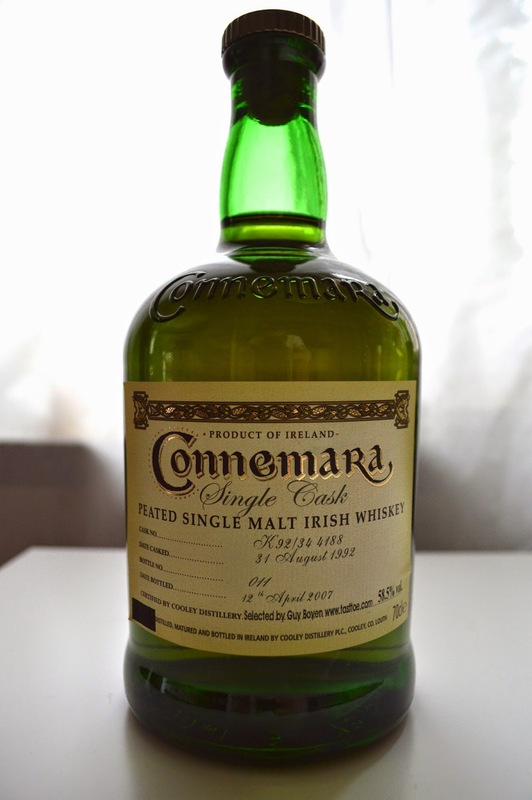 This single cask Connemara is a 10 year old and was specially selected for the 2011 international whisky festival of Holland. 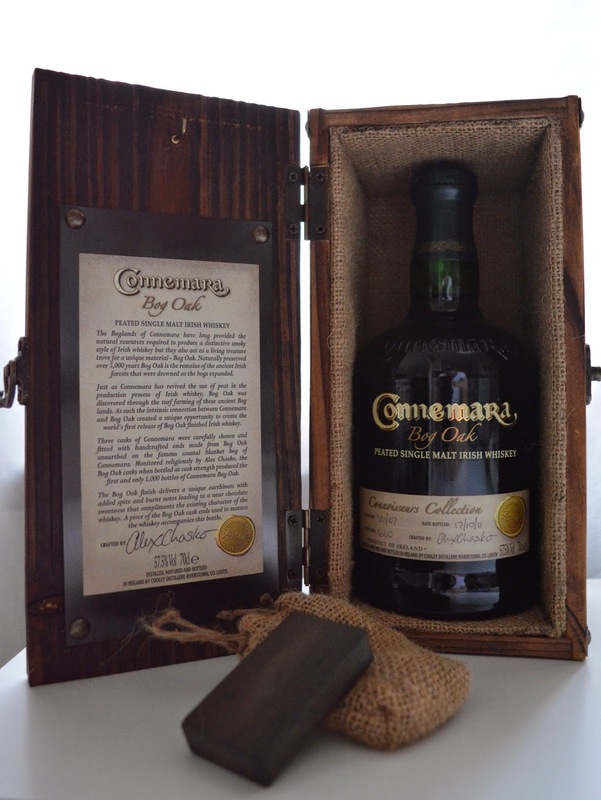 It has been matured in a bourbon cask. 46% ABV bottle no. 275. Distilled 010313 and bottled 110913. 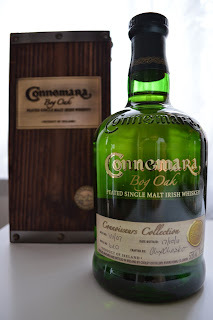 This green paper box with golden paper on the inside seems to be very rare; so far I have only seen it for one other bottling (also a single cask release). Laser number is L11210 12/09/11. This is a very special expression of Connemara. 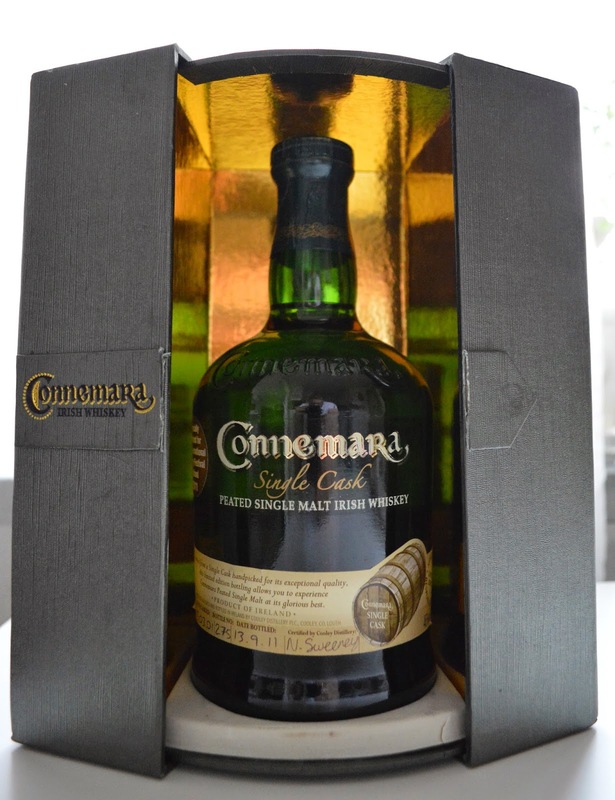 It is the first and so far only release in a series called Connoisseurs Collection. 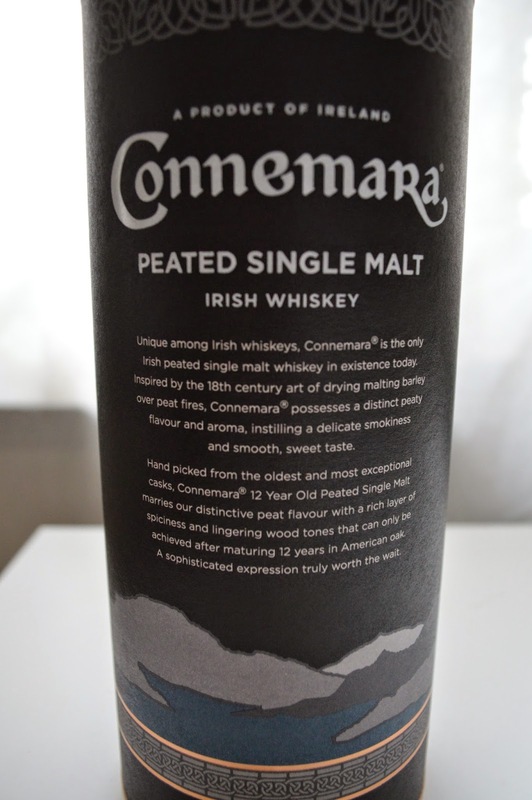 It is the first release ever, in the world, of whisky finished in casks partly consisting of bog oak. Please take part of my tasting note for more info of this very special Connemara by clicking here This particular bottle was presented as a gift to me by former master distiller Brian Quinn when I visited the Kilbeggan distillery on the 27th of July 2012. 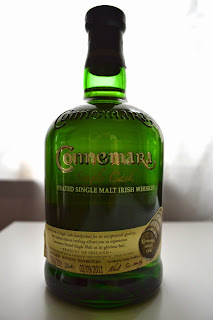 The whisky holds 57,5% ABV and this is bottle no. 610 of 1000. Batch no. V11/07. It was bottled 111017 and the laser number is L11251 17/10/11. This is an alternate version (a so called "split casks") of a 15yo single cask bottling for 100 proof whiskyclub According to my sources some of the whisky from this 180 litre bourbon cask was not purchased by the whisky club, and a very limited number of bottles was hence bottled for Jan Vissers "Single Malt Whisky Shop" in Belgium. 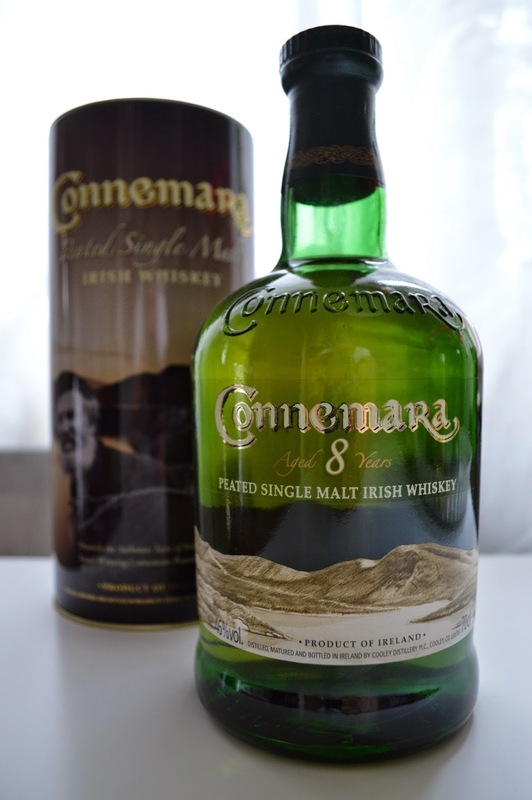 The whisky holds 58,9% ABV This is bottle no 068. 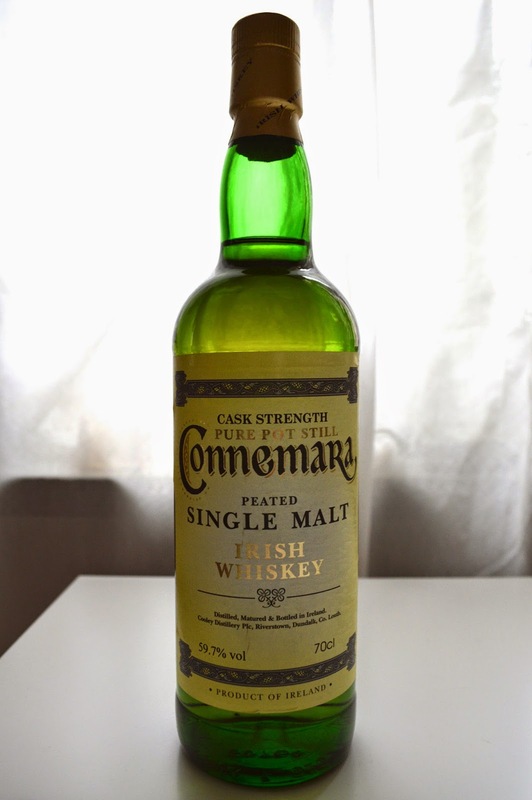 The whisky was distilled 920831 and bottled 080422. No laser (or label) number. A big thanks to Mark Dermul (and friends) for managing to hunt down this rare bottle for me! 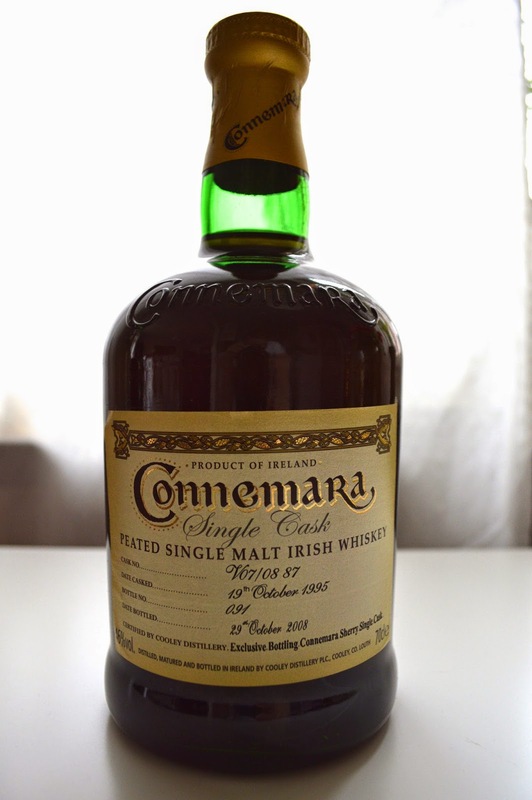 This is definitely a very rare single cask Connemara 15 years old at 58,5% ABV. The bottle number is no. 011. It was distilled 920831 and bottled 070812. According to my sources this bottling was sold without the sealing cap to prevent the bottles to be sold further. No laser (or label) number. 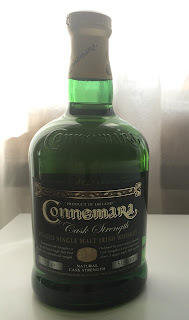 A big thanks to Mark Dermul (and friends) for the tremendous effort in hunting down also this bottle for me! 10 year old. 52% ABV Bottle no 266. Distilled 010403 and bottled 110902. The Laser number is L11212 18/10/11. 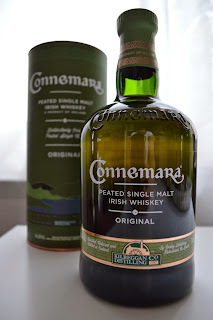 I opened and tasted this bottle for a Connemara-tasting I did, hence it is no longer in my collection. 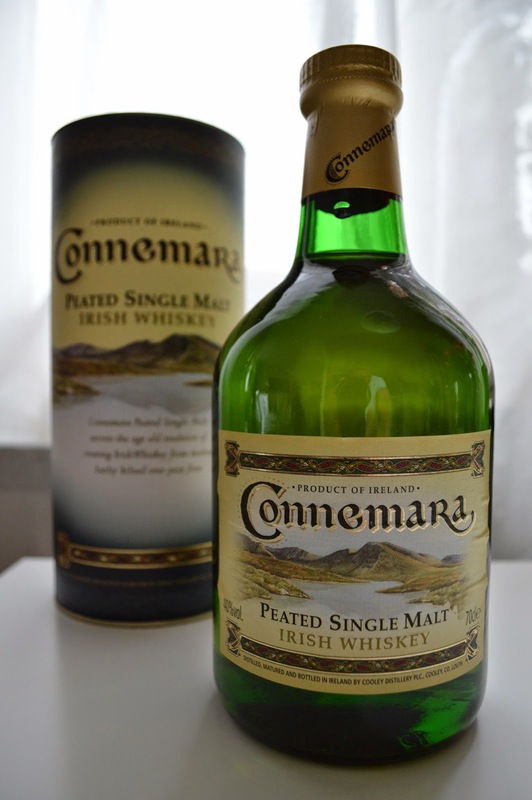 But still, a big thanks to Mark Dermul (and friends) for hunting down also this bottle for me!